Got a dirty interior from all that dirt, salt, and cookie crumbles? We understand. Let us clean them all! Our Interior Package will take about 1 hour to be completed. 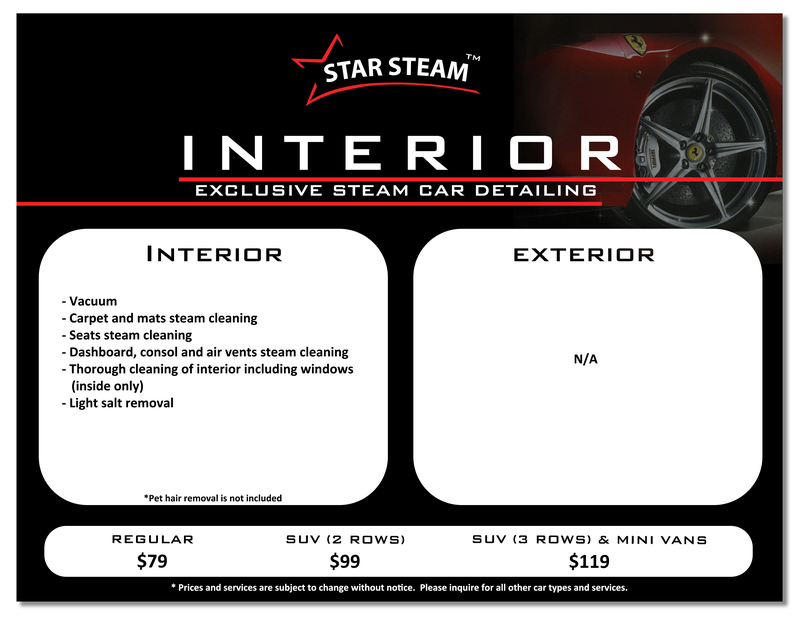 To book an appointment for the Interior Package, please email starsteamtoronto@gmail.com. Light, quick, and through cleaning of both your interior and exterior! Our Basic Package will take about 1 hour – 1.5 hour to be completed. 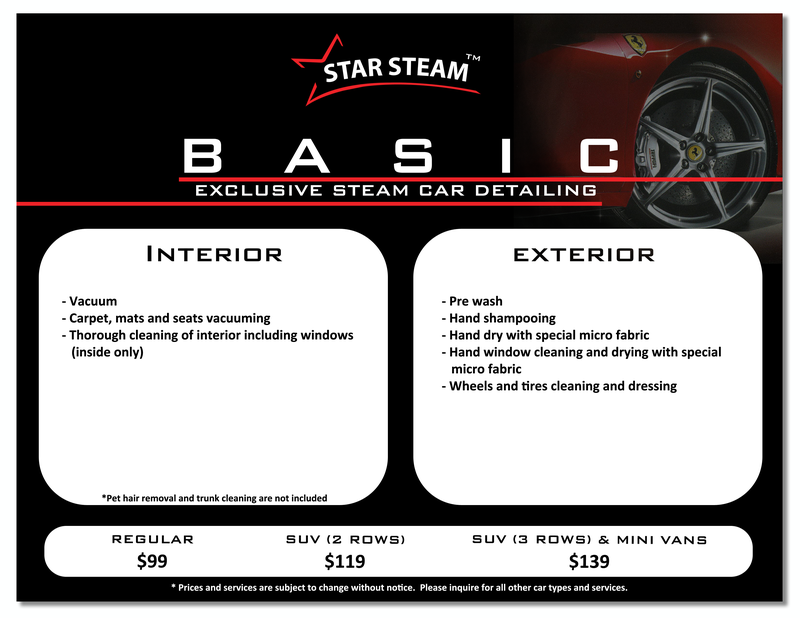 To book an appointment for the Basic Package, please email starsteamtoronto@gmail.com. Haven’t cleaned your car for a while? Have no fear, let us make your car look squeaky clean inside out! Our Premium Package will take 1.5 – 2 hours to be completed. 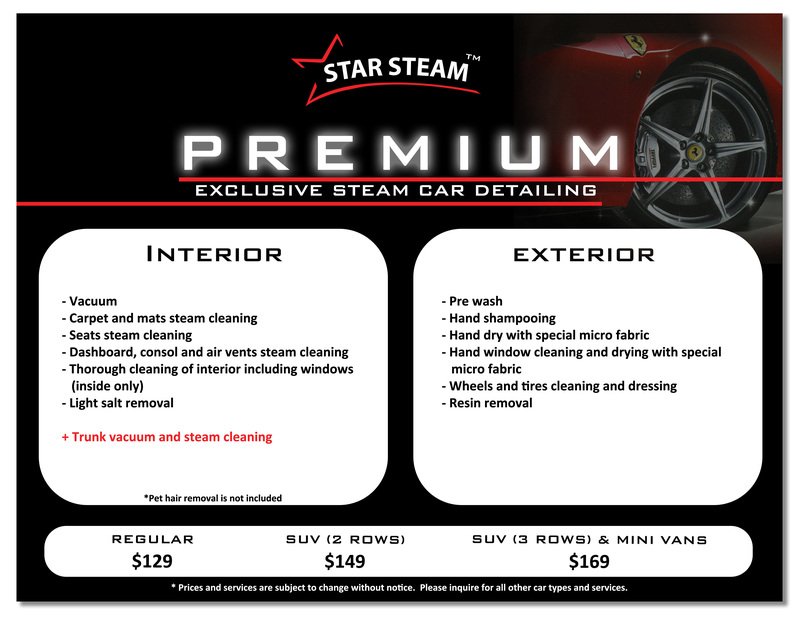 To book an appointment for the Premium Package, please email starsteamtoronto@gmail.com. Want to make your car look brand new? Want to feel like you’re driving a new car? Let us make that happen with this intense cleaning package! Our Platinum Package will take about 2 – 3 hours to be completed. To book an appointment for the Platinum Package, please email starsteamtoronto@gmail.com.